GZDoom is a free game. This means that the source code is available to be studied, modified, and distributed. Most projects look for help with testing, documentation, graphics, etc., as well. 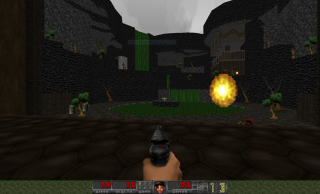 GZDoom is an advanced Doom source port sporting hardware acceleration using modern OpenGL as well as many additional features not in the original engine. It is capable of running Freedoom.